You must make reservations at least 5 minutes in advance of the time at CocoBolos Woodfired Grill & Cantina. All forms available; FREE Parking lot, street parking and parking garage attached. Free Valet 7 days a week nightly and during brunch on Sundays. There is a JOCO Transit bus stop on 137th and Outlook adjacent to the Museum at Prairiefire in the Prairiefire Entertainment District where CocoBolos is located. Our patio is the best party in KC with live entertainment during the spring and summer, come for the music and stay for the food and Sangria. Cocobolos is excellent for lunch catering and large group happy-hours. Enjoy our popular Street Taco Bar - perfect for big gatherings and corporate events. We also offer a large craft kitchen menu for any occasion. Restaurant buy out available. 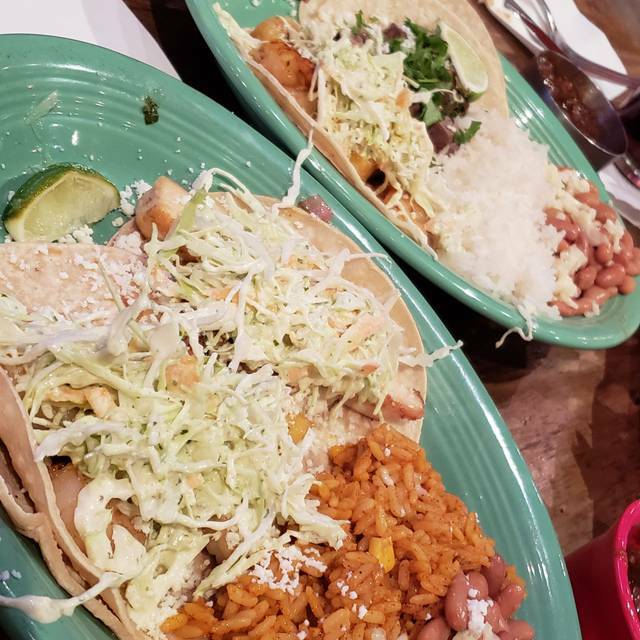 Indulge in your favorite Mexican and south of the border dishes - all made in our scratch kitchen! Surround your senses with delicious wood-fired grill flavors, colorful art and craft cocktails. Dig into the Tijuana Trainwreck, the Bolos Sizzling Fajitas, an Al Fresca Salad or our bubbling hot Coco's "Q". 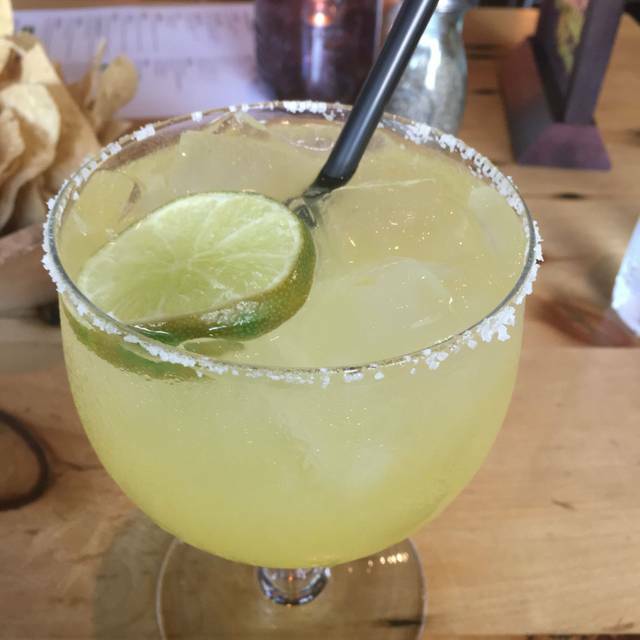 Frosty Margaritas and the freshest Sangria around. Weekly Specials and Happy Hour daily. 913-766-5000. Everything was fab ... the awesome service, great fanatics & coconut rice 🍚 was perfect! Love their happy hour menu! 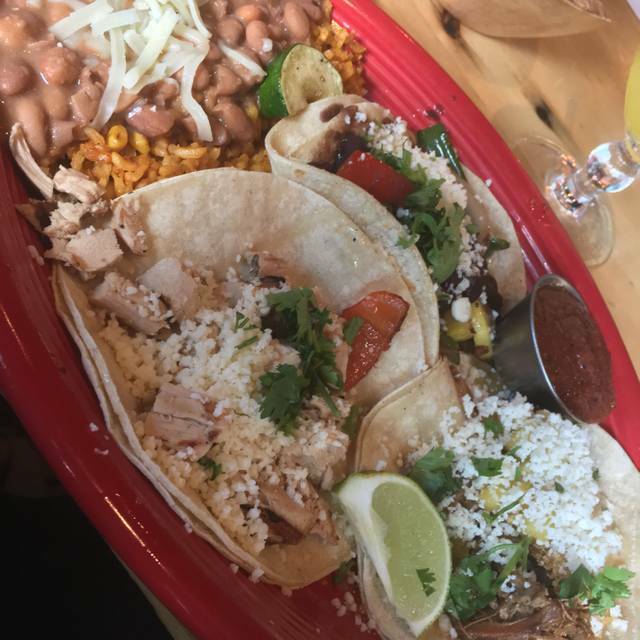 The street tacos are tasty. Great for gluten free people too! Poor people were busier than a Mom with a dozen preschoolers. It seemed nobody wanted to leave. Food was good. I think we took more home than we ate. Eyes bigger than stomach. Excellent service! We had a table of 8 people for dinner. We all had a class to go to that evening and the server didn’t rush us but was efficient and kind, the food delicious! We’ll go back! Great food. Great service. Paid for premium spicy margaritas but I am not sure there was more than an ounce of tequila in them. Myles our Server was fantastic! He went out of his way to help us and our little boy. Food was wonderful we will be back for sure! This was our first time dining here. We were seated promptly, service, food and drinks were great, no issues or complaints. Will be back. We were greeted as we walked in the door by a friendly face, Delani. Our server was sweet and attentive as well and brought everything to us in a timely manner. Delani brought our dinners to the table with a smile and was energetic. I appreciate great service and care like that when I go out to eat. Very refreshing. I was not crazy about the salsa; however, the Queso Dip was outstanding. We were there on a Saturday around 2:30 pm and the Happy Hour was great! Service was outstanding. Hard to talk due to large open area and busy Sat night. Food was amazing. Good food. Kids menu looked and is awful so had to buy regular adult meals for my 5 & 8 yr olds... Mahi sandwich was bland, sloppy, no structure. Wife had shrimp fajitas and shrimp was small frozen taste, etc. Overall was an 'ok' experience, but I won't be going back. Tables were small. We had to ask for another table (Booth) to fit 4 people. Food was good. Not the best I ever had. Drinks were good. Our Waiter was great. We were put in the bar and I would have preferred to sit out of the bar area. Great service, great food, great specials! We ate there for restaurant week. Menu USA little different from a lot of restaurants, which I like. Everything was very good. Food was adequate. But I can't forgive the service. Ignored after being seated. Forgotten drinks. Slow food delivery on a not very busy day. Water left on the floor for a long time after two of the wait staff collided. And, my big pet peeve, if you give me my bill, be prepared to take my credit card. After 15 minutes we gave up and left cash. Restaurant week and my teenage sons birthdays. Julie was fantastic. Queso tasty. Shrimp taco excellent. Like it usually is....food is good, service is "meh". food and service was amazing. Fun atmosphere and great area. Great value. Definitely will go again and again. CocoBolos was awesome. Great food, great atmosphere, tv's, and quiet enough to have a great conversation. The food was very good. We had the chips and salsa (awesome salsa), BBQ Shrimp appetizer (the dipping sauce has a kick), Street Tacos (Mahi Mahi, Shrimp and Steak), Caramel Apple Empanadas with Ice Cream. Did not know until we received the bill that Happy Hour was going on. The Mojito was tasty but small. Glad it was Happy Hour! Will definitely go back! The only drawback was it was trivia night. The DJ was loud. Had we known that when we were seated we would have requested a table in the back. Our service was great. Unfortunately I didn't catch the young man's name due to the noise. This was the first time my husband and I went to this restaurant. We got into our open table reservation right on time, at 11:10 am for 11:15 am. We ordered about 10 minutes after and we did not get our main entree until about 12:15, dessert around 12:30, and then the check around 12:45. We were not prepared to wait an hour and a half to be served. The food was pretty good, but not worth the wait. 3 stars for average food and service. Great selection. All the food has a little spice to it, but is fairly mild. Thought about this for my hubby’s birthday and it was perfect. High energy, great service and the food was excellent! I love CocoBolos. I grew up on it attending K-State in Manhattan and so, so pleased that the classics are the same here in KC too. The salsa and chips are a great start, really delicious margaritas, and you can't go wrong with the Stacked Enchiladas. I'm partial because of my love for the place, but I'd recommend to anyone looking for a new place to try! We love coming to Coco's for a great dinner. We bring family and friends when we can. Also do date nights here a lot of times. The food is amazing. 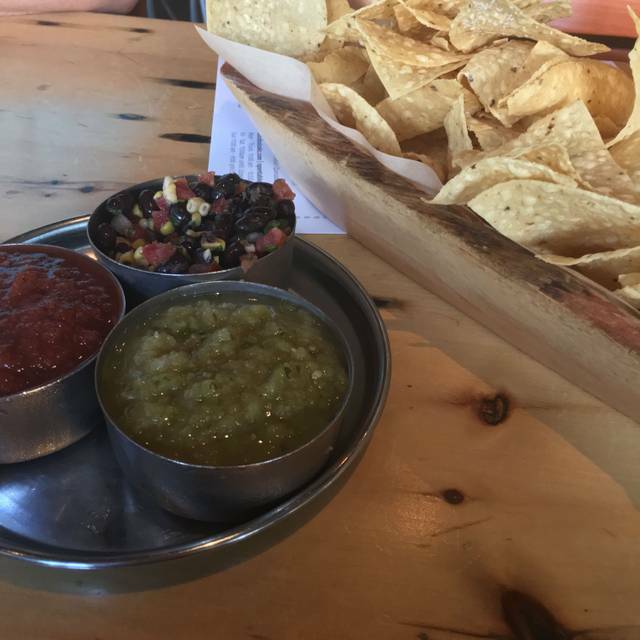 Chips and salsa are the best. The staff is friendly and helpful. Just an overall wonderful place to go and eat. Hope you enjoy it! Food is always excellent and good portions as well. Margaritas were excellent as well. The service was fine. The rice and guacamole was good. The chicken and mahi mahi tacos were terrible. The chicken was dry and cold. The fish was dry, cold, and there was very little of it. A little scheduling glitch, but Miles, our server took care of us! Thank you Miles!!! We love coco Bolo. Always great! Service, management and food always perfect. Great service and very quick! Waitress was very attentive and friendly as well! My husband and I ate here on a date night and it was great. We started with guacamole and chips and it was fantastic. I had the chicken enchiladas suiza which is always my favorite. All in all, a great meal! Went on a Friday night: our waitress was fabulous! Manager replaced one of our dinner salads that was way too spicy. All the rest of the entrees were delicious. Margaritas & wines were very tasty. No need to dress up, super casual. We’ll definitely go again. Service fantastic and food was good prices not bad. I’d pass on the margaritas next visit.